You can always count on extremists to politicize a horrific event. 09/11, Hurricane Katrina and other tragedies drew out the best in people. But sadly, they also drew out the worst. 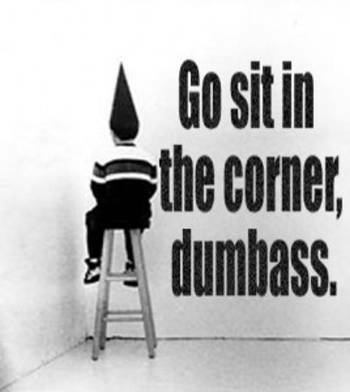 Some idiot – usually of the religious type – had some dumbass thing to say after the ordeal. Jerry Falwell said 09/11 was God’s retribution for America allowing abortion and homosexuals; others said the same about Katrina. So, as you might expect, a few morons have proven why they badly need an enema. – Rep. Louie Gohmert (R-TX), during a radio interview on the Heritage Foundation’s “Istook Live!” show, when asked why he believes such senseless acts of violence take place. – Mike Huckabee, former Republican Arkansas governor and 2008 presidential candidate. – Jerry Newcombe, evangelical pastor, adding that victims who aren’t Christian are in hell. – Fred Jackson, of the American Family Association. – Russell Pearce, former Republican senator on Facebook. – Erin Gloria Ryan, on Jezebel, pointing out that the killer planned his spree months ahead of time. – Pastor Rick Warren, in a tweet the day after the shootings. There is nothing compassionate in the hearts of those who would say these things. They should be ignored for the sake of our own sanity.